If you are farsighted and tired of depending on eyeglasses or contact lenses, you may want to consider LASIK laser eye surgery, which is officially called laser-assisted in-situ keratomileusis. Farsightedness occurs when you see distant objects well, but have trouble seeing nearby ones. This happens when the image coming through the eye is not in focus when it hits the retina, the light-sensitive tissue at the back of the eye. The problem is caused by an eye that is too short or a cornea, the clear and curved front portion of the eye, that is too flat. More than one million LASIK surgeries are performed in the United States each year as patients turn to eye surgery to reduce their dependence on corrective lenses and to simplify their daily life, from showering, to jogging, to evenings out. Dr. Gregory A. Stainer, who leads a highly trained team specializing in laser eye surgery at Southwest Eye Care and Laser in Bakersfield, regularly employs LASIK for farsightedness. He has been performing eye surgery for more than 30 years and has instructed ophthalmologists on LASIK techniques. Skill is essential when employing LASIK for farsightedness, which is more difficult to correct than nearsightedness. For myopia, the laser simply removes tissue in the center of the cornea to make it flatter. But with farsightedness, the cornea needs to be sculpted into a more rounded shape. This is done by removing a ring of tissue around the outer edge of the cornea and leaving the center of the cornea thick. LASIK is ideal for treating mild or moderate farsightedness. However, if you have severe farsightedness (over +5 Diopters) you many need to consider other options, such as a lens implant procedure. Even if you are not a good candidate for LASIK, Dr. Stainer can advise you on the many options available to treat farsightedness, including options for people with thin corneas, corneal disease, or extreme farsightedness. Treating farsightedness with LASIK does have its limitations. As noted, it is not recommended for severe farsightedness. 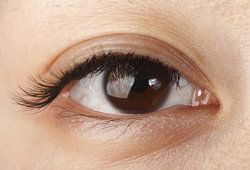 In addition, after surgery the cornea has a tendency to return to its original shape, which happens more often after treatment for farsightedness than nearsightedness. When this happens, the vision improvement may diminish in the months or years after the procedure. Farsighted patients are more likely to require “touch up” procedures. Unfortunately, it is not possible to predict or control the healing process for individual patients. Farsightedness correction is also associated with an increased chance of glare or halos, which can affect night vision and night driving. These affects are less likely with nearsighted corrections. The first step to understanding what is possible for your farsightedness is making an appointment for a personal consultation. At that point, Dr. Stainer can assess your eyes and explain which of the many procedures he offers is appropriate. Laser eye surgery is not always the best option, but there are many procedures that can help patients improve their vision. If you would like to learn more, please call for an appointment today.